Our detailed audit logs give you a full overview of all your business SMS activities. The logs are unchangeable and feature accurate time stamps, search filters, change logs and more. Account logs keep track of events related to your account, services and users. You can use logs to determine which changes were made and by whom. 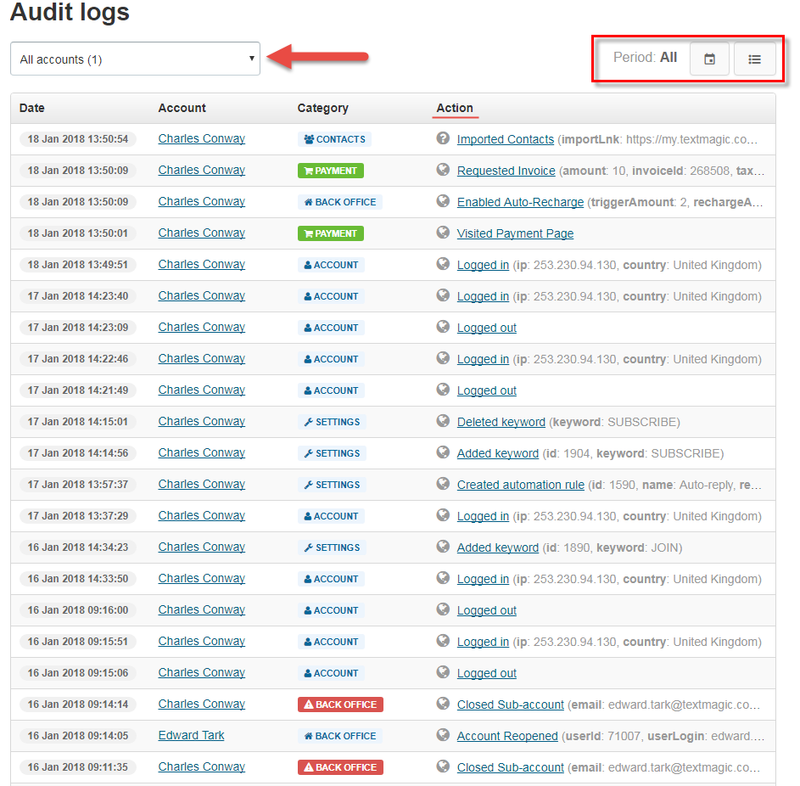 Audit logs are available only via the Web app. Select Reporting and then Audit logs from the main menu. Select the account and the period. Reviewing who logged in to your enterprise account. Viewing recent changes that were made. Viewing who sent and deleted text messages or any other data.